A couple of weeks ago, I wrote about using your tax refund to make improvements to your property. Today's buyers are looking for houses that feature smart technology. It's both convenient and energy-efficient. 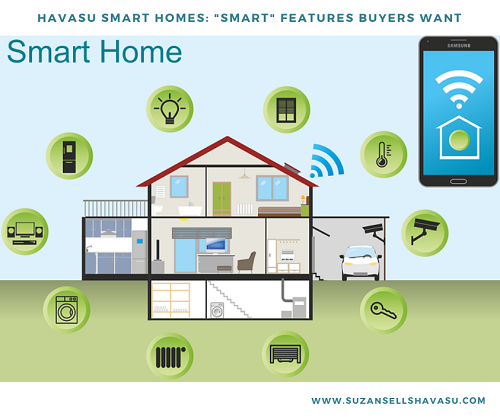 So, if you're planning on selling your home soon, you might want to spend money to create a Havasu smart home. But, where to begin? Probably the quickest and easiest feature to add to Havasu smart homes is an updated thermostat. The user controls their home unit via an app on their smartphone from anywhere in the world. That's awesome. Better yet, the system "learns" as it goes. What does that mean? It keeps track of usage (temperatures at specific times of the day and changes in usage from weekdays to weekends). Then, it uses this information to automatically adjust according to your household's lifestyle patterns. The editors at PC Magazine named the Ecobee and 3rd Gen Nest Learning Thermostat as their top choices for smart thermostats. Everyone feels better with a little security on their side. Simply seeing that a home has a security system in place deters burglars from trying to gain entry. If your home already offers a smart security system, buyers are much more likely to choose your house over another. There are several great systems on the market right now. PC Magazine also provided a list of their top choices for smart home security systems. ADT Pulse and Vivint Smart Home received their highest praise. While we're on the topic of security, Havasu smart homes should also include smart locks. Forget your keys? No need for one when you have keyless entry. Are you or someone else in the house physically challenged? Let in friends and loved ones from the comfort of your chair thanks to an app on your phone. The August Smart Lock HomeKit Enabled, August Smart Lock Pro + Connect, and Schlage Sense made the top of PC Magazine's list of the best smart lock systems on the market today. Finally, consider installing a smart lighting system that you control via an app on your phone. Turn the lights on right before you get home at night. Schedule them to turn on at dusk and off at dawn while you're away on vacation. Thieves tend to shy away from trying to enter a home that appears to have someone inside. Change the intensity of the light when needed. Visit FortheSmartHome.com to find a lighting system within your budget. 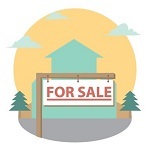 Buyers of all ages want Havasu smart homes. For a minimal investment, you can make your home much more desirable to buyers. Start making smart choices for your home today.